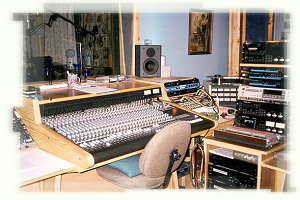 Get professional CD quality recording that can be released on your own CD** and / or used for song or artist demos. The most gifted, versatile, current, and highly qualified professional musicians and singers IN THE WORLD!! Have your songs recorded and produced at SONG CELLAR RECORDING STUDIOS by JACKIE COOK, a seasoned producer with over 20 years experience working with many of Nashville’s most successful songwriters, artists and publishers. Get this without the expense or time spent coming to Nashville by recording with Jackie through the mail. Or, come to Nashville and experience recording without the hassle and unknowns involved in trying to do it all yourself. We will set up the studio, hire the musicians and singers and chart the songs. We’ll help you produce it, produce it for you or set it up and let you do the rest. We’ll even book your hotel if you want! Go no further than right here at Song Cellar Productions, where even our songwriter demos are radio ready. If you aren’t sure who to call, where to go, who to trust or how to go about putting a recording session together in Nashville Jackie will do it all for you. Whether you want to come to Nashville or want recordings by mail just give Jackie a call anytime. He will work with you personally on your songs or projects to help you have the best sounding product possible. Many of my writers have worked with Jackie Cook and the results have always been super. He has always done great work for us. We have had significant success with top artists on top labels from the recordings we have done in the Song Cellar. I recommend Jackie and his staff of musicians and singers to anyone who wants quality production for their demos or CD projects. Woody Bomar started plugging songs for Combine Music.. He left Combine to form Little Big Town Music which had over 30 number one’s in billboard Magazine before later joining with Sony/ATV Music as senior vice president. We here at JABA Publishing started recording with Jackie Cook right after he opened Song Cellar and have been loyal clients ever since. We worked on several of our first few lullaby projects there and Jackie has done all of our songwriter demos over the years. Our close relationship with him has paid off for us with the Grammy winning A Child’s Gift of Lullabies and major cuts by George Strait, Shania Twain and others. I highly recommend Song Cellar for any project that you want good quality, dependable production. If Jackie is doing it you won’t have to worry about a thing. He does it right!! Aaron Brown started in Gospel Music and moved into the then new category of children’s lullabies. Since then they have won a Grammy with A Child’s Gift of Lullabies and their many lullaby releases have sold millions marketing through Wal-Mart, Target, Toys R Us, Johnson and Johnson, Cracker Barrel and other major outlets. JABA Publishing has had recordings released by major artists, labels and movies.